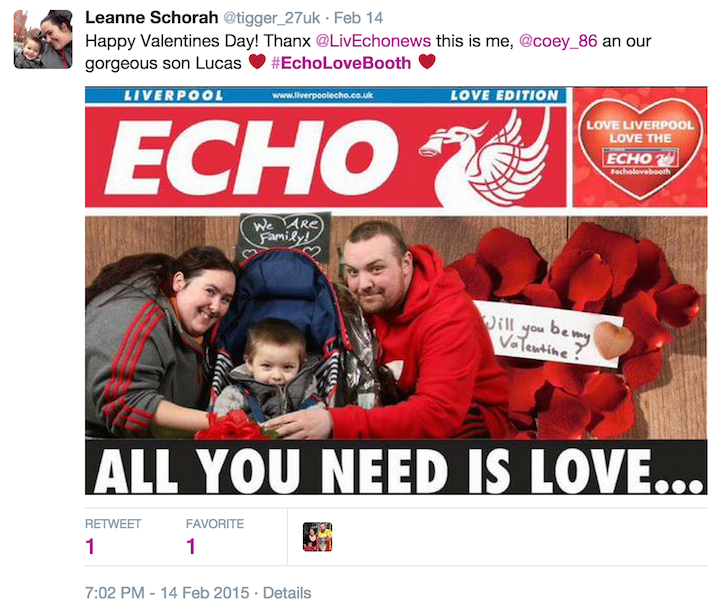 All Liverpool needs is love! Right? 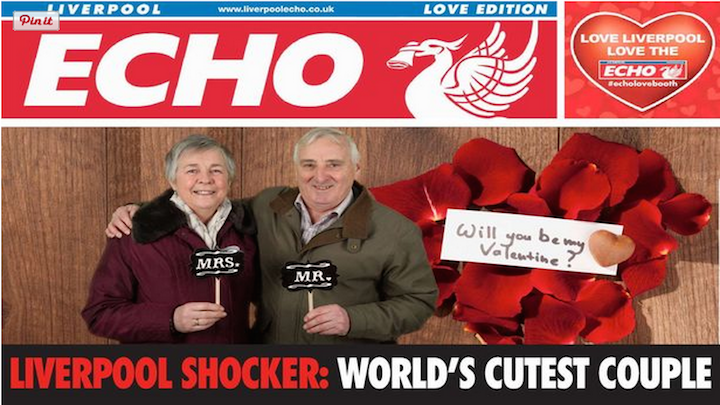 Valentines 2015 was made extra special this year by the Liverpool Echo and Street Advertising Services! 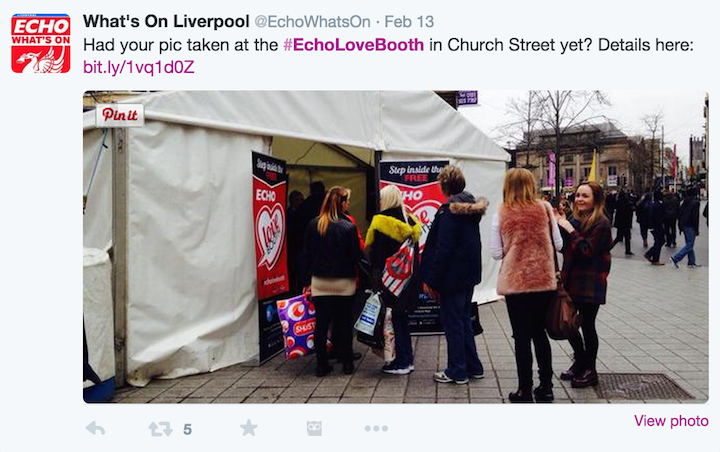 We installed a fun, interactive love booth in the city centre! The booth complete with hilarious props had people queueing down the street to try out this love booth with a twist! What’s the twist I hear you say!? 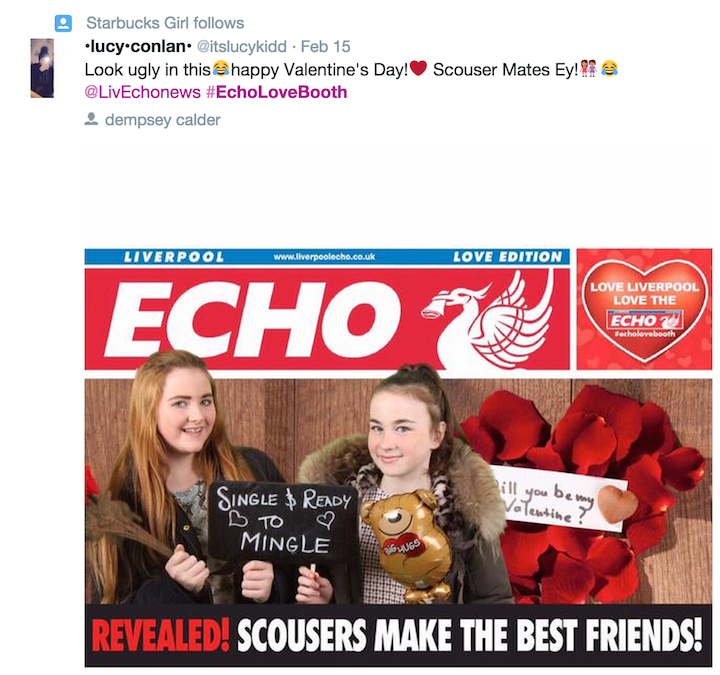 ...Well our love booth is kitted out with green screen technology to transport the lovers of Liverpool to a completely different setting! The final image could then be shared by the kissing couples and hopeful singletons on social media platforms such as Twitter, Facebook and Instagram! 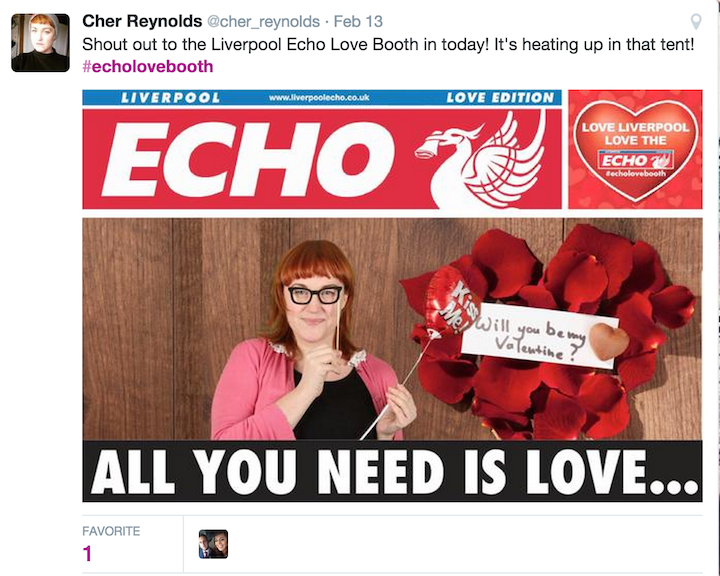 This was a really fun event that ran throughout the Valentines week in Liverpool and was a perfect combination of creativity, technology and of course.....LOVE!! Being able to instanly share the results was greatly popular as social media is such a huge part of our lives...our team was there to provide technical assistance throughout the week. Not only cute couples were able to take part in the love booth! single pringles looking for love could also have a go! Here is our very own single pringle Cher who is an Account Executive at Street Advertising Services! and plenty of happy families! Overall this campaign had a great response and put a smile on many faces! We took 700 pictures over 3 days which led to over 2 million impressions! You don't need to be a social media genius to know that aint bad! So get in touch if you are interested in finding out how our green screen technology can put a smile on your customer's faces!